About Dr. Helm » Anna Helm, Ph. D.
Anna Helm is Assistant Teaching Professor of International Business at the George Washington University, currently teaching courses on international marketing management, green business, and introductory courses on international business. A member of the GW School of Business community since 2006, Professor Helm has taught numerous courses involving real client projects in her international marketing courses. For three consecutive years she has also offered international residency courses to Sweden within GWU’s Global MBA Program, focusing on CleanTech and marketing strategy. Through a 2010 grant from GW’s Center for Civic Engagement and Public Service, she recently developed and taught a service-learning course entitled “International Perspectives on Green Business.” One of her most recent projects includes the development of innovative video-based instructional materials for Global Perspectives and International Management, two courses she is teaching online in the Healthcare MBA Program. As part of another campus-wide grant through OLI (Online Learning Initiative), Dr. Helm has developed a course on the healthcare industry in Sweden, which was offered in summer 2012 as a combined online and study abroad course with a consulting component. 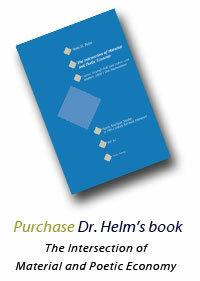 Professor Helm currently serves as the GWSB Online MBA Faculty Coordinator. Originally from Sweden, Dr. Helm holds a M.Sc. in International Business and Economics with German (Internationella Ekonomlinjen) from Lunds Universitet, Sweden, as well as an MA in Germanic Studies from the University of Maryland. She received her Ph.D. in German Studies from Georgetown University in 2002. In 2009 she completed the AACSB Post Doctoral Bridge to Business Program at the University of Florida, Gainesville, with a specialization in Marketing & Management. 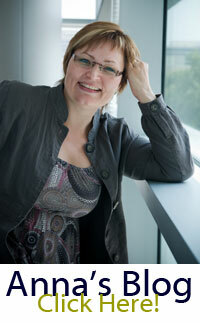 Professor Helm is currently pursuing research on cross-cultural differences in consumer perceptions of green products. In her capacity as GW-CIBER Business Language Co-Coordinator, she is involved in research on business case methodology. Together with her colleague, Margaret Gonglewski, she has developed a video-based e-Handbook on Teaching with Business Cases.